Favorites from The Daily Slimer are now collected in the real life as a digest-sized zine called "Selected Slimers". 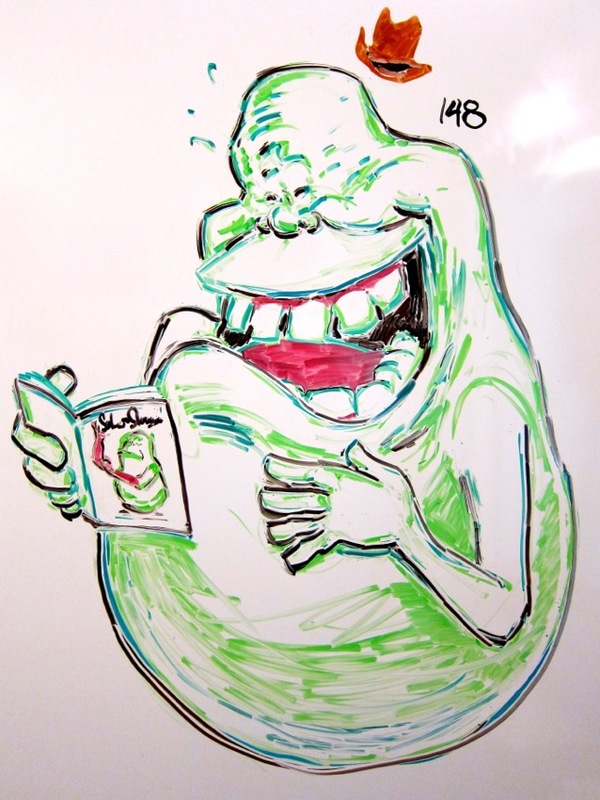 The book has more than 40 whiteboard Slimer drawings reproduced in vivid color for your enjoyment. Support my morning Slimer habit. Get one for you AND a friend!